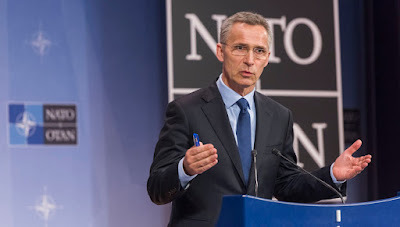 BRUSSELS, Belgium -- NATO still has "clear disagreements" with Russia over Ukraine crisis and expects Moscow to do more to rein in armed separatists battling Kiev's forces, the Atlantic alliance's Secretary-General Jens Stoltenberg said on Thursday. The West slapped sanctions on Russia in 2014 over its annexation of Ukraine's Crimea peninsula and its support for the rebels in eastern Ukraine, in a conflict in which more than 10,000 people have been killed. "Allies and Russia continue to have clear disagreements on the crisis in and around Ukraine," Stoltenberg told a news conference after chairing a meeting of ambassadors from NATO and Russia in Brussels. Intense fighting continues to rage in the industrial eastern Ukrainian region of Donbass despite a formal ceasefire, he said. "Allies urged Russia to use its significant influence on the militants to meet their obligations in full, and raised serious concerns about Russia's recognition of identity documents issued by the separatists, imposing the (Russian currency) rouble, and seizure of companies," Stoltenberg added. France and Germany were among NATO allies who criticized Moscow's move in February to recognize the rebels' documents. 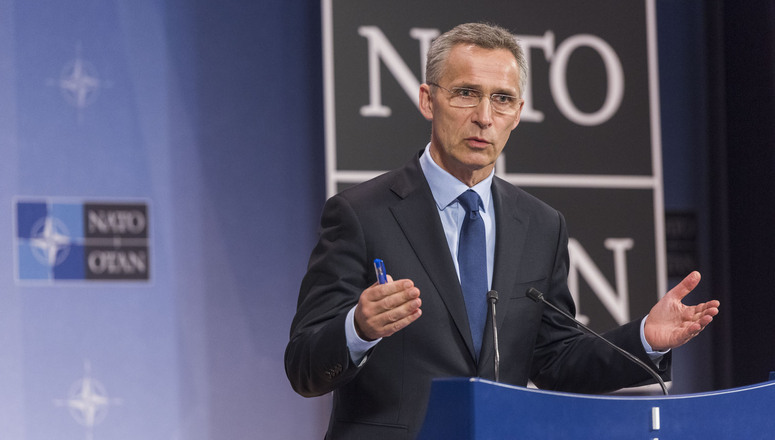 But Stoltenberg, a former Norwegian prime minister, also welcomed the exchange of information between NATO and Russia on military moves. "It is not an easy dialogue but a dialogue we are committed to. When tensions run high, it is even more important to keep talking to each other to reduce unpredictability and risks," he said, adding that Russia had briefed NATO on three new divisions in its western military district. In exchange, NATO offered information on four battle groups it is deploying in Poland and the Baltic states to help assuage their concerns over a more assertive Russia. On Friday Stoltenberg will chair a meeting of NATO foreign ministers attended for the first time by new U.S. Secretary of State Rex Tillerson. They will prepare for the alliance's first top-level summit since Donald Trump became U.S. president. Last year Trump upset America's allies by describing NATO as "obsolete", though he has since said he strongly supports the alliance. However he has continued to press NATO's European members to spend more on defense. Stoltenberg said he would meet Trump in Washington in April to prepare for the May 25 summit in Brussels.